Superficial fungal infections of the hair, skin and nails, also referred to as superficial mycoses, have been described as major causes of morbidity in the world, which is prevalent in the tropics, where heat and humidity provide the ideal conditions for the growth of the causative fungi. As reported in Rook’s Textbook of Dermatology (2010), direct contact is sufficient to transmit the infection from a contaminated surface or host to another and dermatophytoses are the most common causes of fungal infection in men. Superficial mycoses, categorised into non-inflammatory and inflammatory infection, involve the infectious fungi being confined to the epidermis and annexes; invasion of the dermis is rare, but in extremely rare cases, internal organs can be affected. Non-inflammatory infections include Pityriasis Versicolor, Tinea Nigra/Keratophytosis Negra, and Piedras (White and Black Piedras). The inflammatory infections are usually referred to as dermatophytoses, and the term ‘Tinea’ is used synonymously with them. 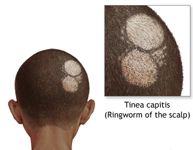 They include tinea capitis, tenia pedis, tenia cruris and many others. Pityriasis Versicolor: PV is a recurring chronic, superficial infection caused by lipophilic, yeast-like fungi of the Malassezia spp, commonly found on the scalp and skin, and which without clinical manifestations, usually act like an opportunist. According to some authors, the 3 kinds most associated with this disease are: M. furfur, M. globosa and M. sympodialis. These fungi produce some substances (such as dicarboxylic acids) resulting in hypo-pigmentation of the area involved, especially in individuals with dark skin. The disease is characterized by oval-shaped or round maculas in seborrheic areas. Factors such as immunosuppression, poor hygeine, sweating, malnutrition, heat and humidity, can provoke these yeasts to be pathogenic or invasive. The diagnosis is clinical but it can be confirmed by detecting the hyphae and spores of the fungi following a direct examination using potassium hydroxide. 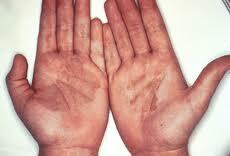 Treatment: PV treatment can be divided into topical and systemic treatment. From a pharmacotherapeutic perspective, being a superficial infection, PV should be treated using topical agents. However, there are factors that undermine topical treatment and favour recurrence of the disease, including difficulties in applying the medication in large areas and the unpleasant smell of certain agents. The efficiency of topical agents is lower and recurrence rates vary between 60-80%. Systemic agents are recommended for short-term treatment of many patients, despite the side effects they can cause. For topical treatment, the most commonly used agents are selenium sulfide (2.5% to 5%) in the form of shampoo used once a day; and ketoconazole shampoo (1 or 2%). It should be used twice a week for 2 to 4 weeks; the resultant mousse (foam) is left on the skin for around 10 minutes before being washed away. Patients with a high risk of reoccurrence can benefit from using ketoconazole shampoo once a week, in the same way as soap. Topical options include azoles/allylamines creams and lotions, propylene 50% in water, nystatin, salicylic acid and a great variety of anti-dandruff shampoos. Generally, a new treatment is recommended after around 2 months, in order to avoid recurrence, which is frequent. All the topical “azoles” seem to be as effective as each other in treating PV. For systemic agents, the recommended dose for ketoconazole is 200mg/day for 10 days. Recovery rates are high (90-100%). There is a risk of hepatotoxicity, estimated at 1:500.000 patients who take oral ketoconazole for a short period of time (10 days). The recommended dose for fluconazole is 150mg/week for three weeks. The recommended dose for itraconazole is 200mg/day for seven days. It is a well-tolerated drug. In cases of recurrence, ketonazole 400mg, fluconazole 300mg or itraconazole 400mg, can be taken once a month orally as a prophylactic measure. Oral terbinafine is effective in combating many dermatophytoses, but not in treating PV, perhaps because it does not reach a sufficient concentration of the stratum corneum. Topical terbinafine has proven effective in treating infection from M. furfur. 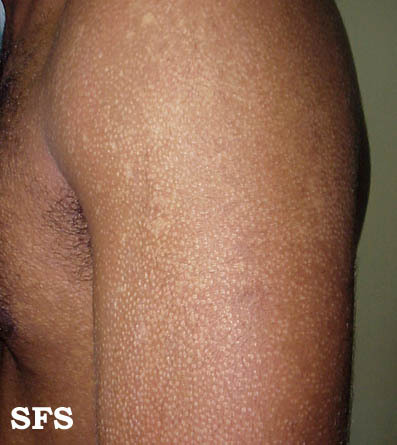 Tinea Nigra/Keratophytosis Negra: TN is produced mainly by the fungi Hortae werneckii and Stenella araguata, and according to a research carried out in 2002, it occurs more commonly in female children in tropical and subtropical zones.Clinically, it is characterized by small unilateral, black patches that appear on the skin surfaces of palms or, more rarely, on plantar skin (surfaces of soles of the humans’ feet) and the edges of fingers. There can be a single lesion or a few that coalesce. Treatment: Since TN is a superficial, asymptomatic mycosis, it can easily be eliminated through gathering flakes and/or friction during washing, and is often under-diagnosed. In some cases, scraping lesions with a curette can bring about their disappearance. Treatment can be carried out with topical keratolytics and imidazoles. The infection responds inconsistently to undecylenic acid, while tolnaftate is ineffective. 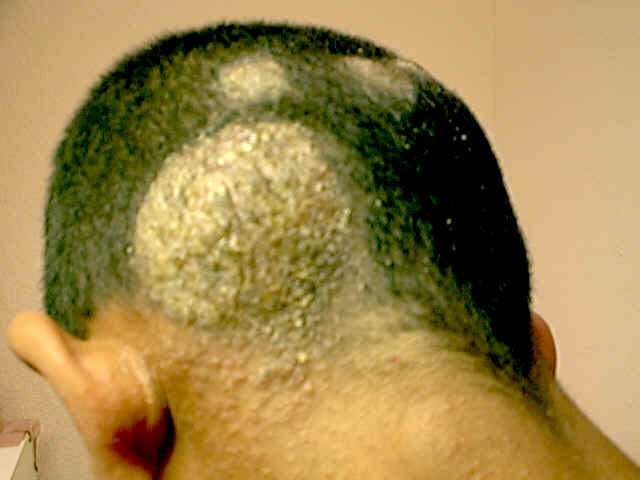 Piedra: This infection is of two types: black piedra, caused by the fungus Piedraia hortae, more common in tropical countries, and characterized by black concretions in scalp hair; and white piedra, caused by the fungus Trichosporom sp, occurring more in temperate climates, and involving the appearance of white or light brown nodules that are loosely attached to axillary, pubic and facial, hair, as well as eyelashes. The infection is a common cause of onychomycosis in some Asian countries but several such cases have also been described in Brazil. According to some authors, these infections are different from pediculosis, monilethrix, trichorrhexis nodosa, trichomycosis and tinea capitis, and effort should be made to differentiate them during diagnosis. Treatment: For piedras on the scalp, removal using a fine comb is recommended in cases involving women. But the general rule is to carry out trichotomy (shaving) on affected hair and use sublimate solution 1/1000 or even 1/2000 in 60% alcohol. For those who so wish, treatment can involve cologne, using the same amount of mercury bichloride, 0.3g of sublimate solution for 300ml of cologne, or 600ml, if the 1/2000 proportion is chosen. Topical anti-fungals in the form of lotions or shampoos are often used, associated with exfoliating agents, to help prevent recurrence. Other options include mercury bichloride 1/1000 or 2% formaldehyde, which lead to good results, without the need to cut hair. Infections usually recur after treatment. NB. It should be generally noted that any patient who feel he or she is incapable of administering treatments should consult a dermatologist or the consultant at the point of purchase of these drugs.